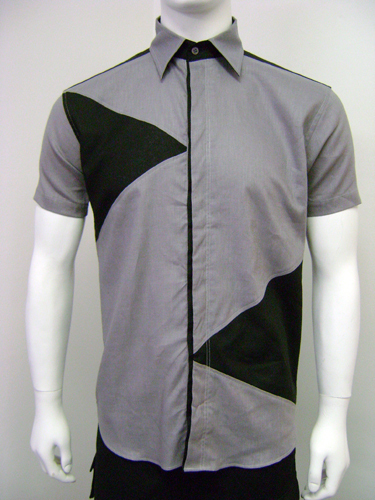 A mens collared button down short sleeve shirt with triangle detail. This lightweight short-sleeved shirt is made locally from 55% hemp, 45% organic cotton. Featuring colour block detailing and finished with a contrast detail this slim fit shirt sports a tailored cut with a made-to-measure feel and point collar. Add some stylish eco-friendly flair to your summer.